The Tabatha doll. The 1965 Ideal Tabatha doll -very rare and highly collectible. 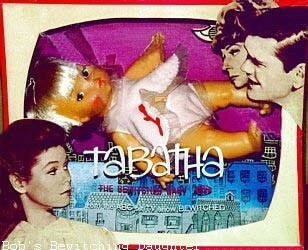 A collector in the US recently paid $6,000 for the Tabatha doll in original box. I was lucky to buy the original Tabatha (not boxed) from an Aussie seller for $100.00 last year.. Wallpaper and background images in the Bewitched club tagged: tabatha 1965 ideal doll bewitched collectibles.